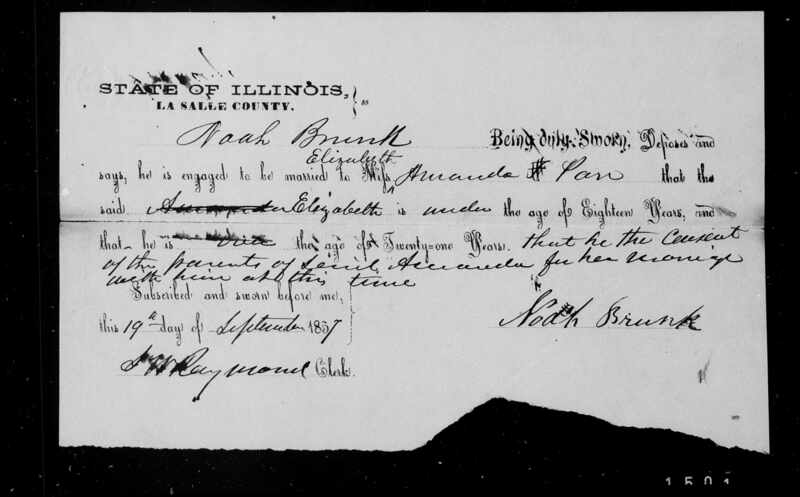 Noah Brunk Being duly Sworn, Deposes and says, he is engaged to be married to Miss Elizabeth Amanda Parr that the said Amanda Elizabeth is under the age of Eighteen Years, and that he is over the age of Twenty-one Years. that he [has] the consent of the parents of said Amanda for her marriage with him at this time. In a somewhat unusual procedure, the consent for the marriage of this under-age bride was not given by her parents, but by the prospective bridegroom, who assured the authorities that he did indeed have the consent of her parents. 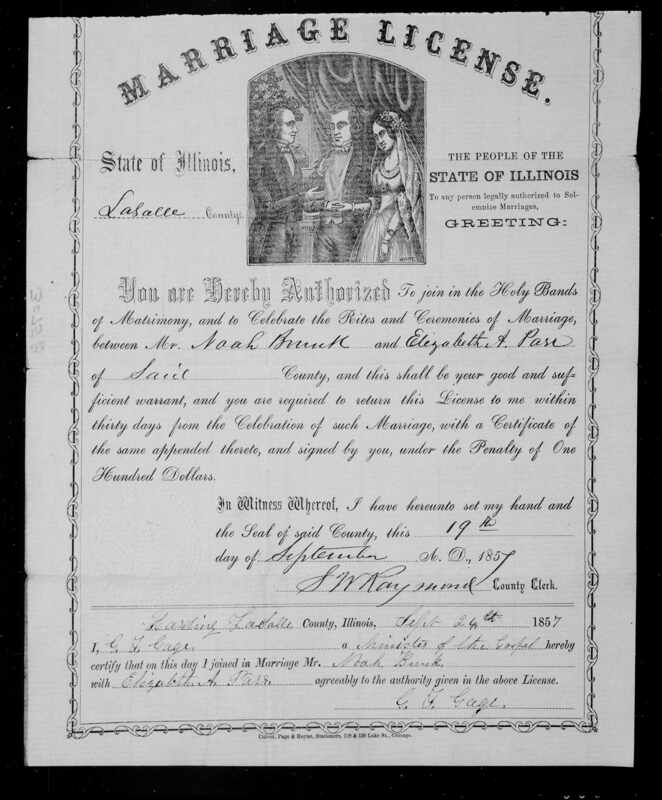 The marriage was solemnized on the 24th of September, as shown by the marriage license. Amanda would have been about 16 at this time. In the 1850 census, she appears with her parents and siblings as Elizabeth A. Parr, age 9. Noah and Amanda had three children, Thomas L., Ida Bell, and Cora B. Ida Bell died as a child and is buried in the Dayton cemetery.